When I was invited to an etiquette class for the modern woman, I admit I initially turned up my nose at such an antiquated idea. Much like Ms Doolittle undergoing speech training in the hopes of sounding more posh, I feared I would be found out - I know what cutlery to use at dinner, but my posture could be better and I have no idea how to hold a cup correctly. In a world where we converse in abbreviations and find it a rarity to speak to someone without them glancing at their phone at least once, where does etiquette hold a place in 2017? In just under two hours, I found out. 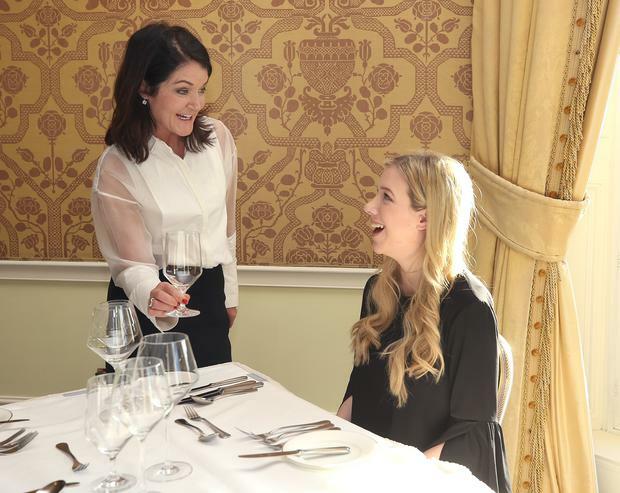 Upon my arrival at The Shelbourne Hotel for a masterclass run by the Etiquette School of Ireland, I was concerned I would be immediately judged before I even walked in the door, instead, I went in headfirst to leave about modern day manners. First, I was taught how to stand and walk down stairs correctly and it turns out, there's more to walking down a stairs with poise and grace than meets the eye. No longer are books balanced on top of your head to teach you how to stand straight (which I was slightly disappointed in), but rather I was told to push my shoulders back, raise my head to eye-level and let my hands rest by my side with my fingers relaxed, while standing with one foot placed in front of the other at a slight angle. And that's before even walking down the stairs. While descending the stairs, you walk diagonally down the steps and keep your head and gaze at eye level. It is only when you're told that you can no longer look at the steps as you descend that you realise how much you do. After a couple of failed attempts and feeling like I was going to fall flat on my face, I finally got the hang of it and moved on to table etiquette. During the lesson, I realised that it's only when you correct your posture that you realise how much better standing straight makes you feel. It gives you a boost of confidence, slims your stomach and makes you appear strong and self-assured. And it's a feeling I liked. My lesson on table etiquette included learning which glass is meant for which drink and how to use the correct cutlery. While I was already familiar with how to correctly use a set of cutlery, which is from the outside in, I was surprised to learn that there is a certain way to hold cutlery while eating, such as tilting the spoon away from you as you fill it with soup and then tilting it into your mouth to eat it. I also learned that you're not supposed to scoop up peas with your fork or stick the prongs into them, but rather mash the peas into the back of the fork and eat them that way. At first I was unsure about how the position in which I hold my spoon would affect me or anyone around me, but it turns out that it really does. Take into consideration if you were invited to the second round of an interview in a restaurant. You've done your research, you're dressed correctly and are fully qualified for the job. But when it comes to how to correctly use a knife and fork, you're clueless. 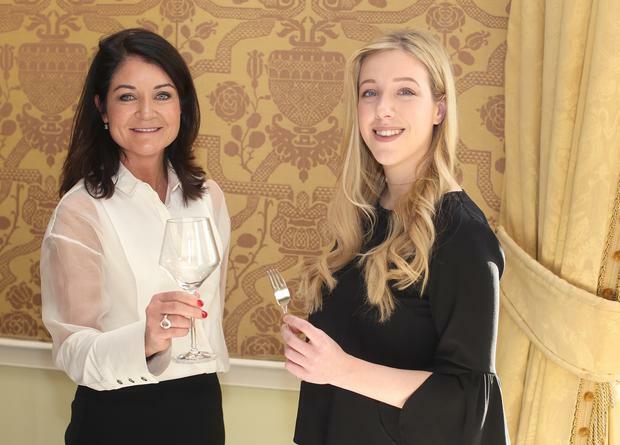 "American and British businesses especially are very conscious of manners and table etiquette," Orla Brosnan, founder of the Etiquette School of Ireland, told me. 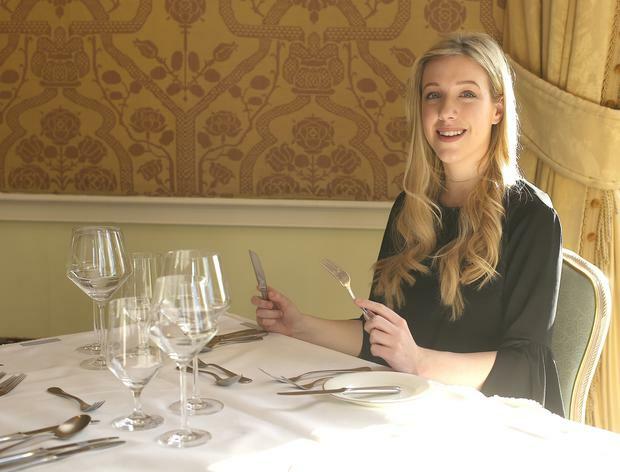 "When they come to Ireland to meet with clients or hold interviews over a meal, it's very clear that Irish people aren't up-to-date with their table etiquette when they don't know what to do with the cutlery in front of them. It's a basic but important thing to know." Next up was vocal coaching, and this is when my My Fair Lady fears kicked in. Was I an Eliza Dootlittle in a world of Kate Middletons? While I had visions of myself being taught how to say 'how now brown cow,' that wasn't the reality at all. I learned that vocal coaching isn't about trying to change your voice or accent, but rather it's about learning to use your voice correctly and how to improve your speech by exercising the mouth. Instead of being trained to speak differently, you learn how to speak at the best of your ability and improve any areas, such as pronunciation, that are needed. I must admit, I had several doubts about the importance of etiquette in today's modern society, where a large percentage of communication is done on our phones. This, however, is what makes etiquette more important than ever. For details on upcoming adult and teenage courses at the Etiquette School of Ireland, visit etiquetteschoolofireland.com or call Orla Brosnan at 01-6855895.